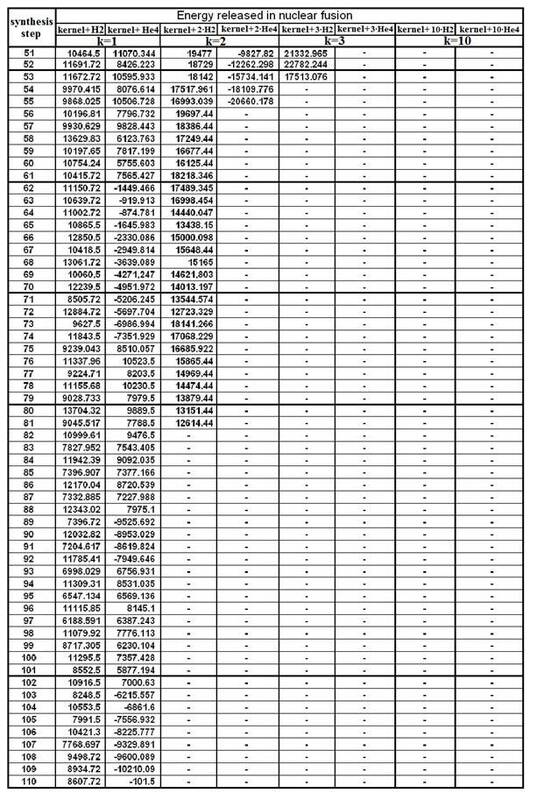 (46) Table № T – 3.6, a part-C (k=10). 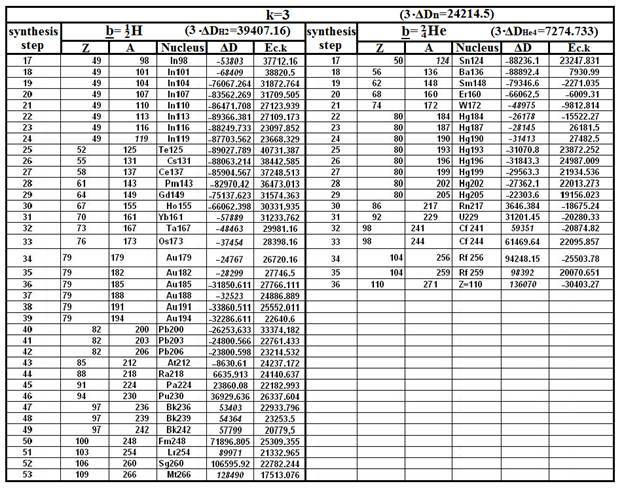 In the table № T-3.7 the results of calculations of allocated energies are presented by steps, during the synthesis, under the scheme «the KERNEL + 1; 2; 3; 10 easy kernels» and constructed the schedules № G-3.7 and № G-3.8. 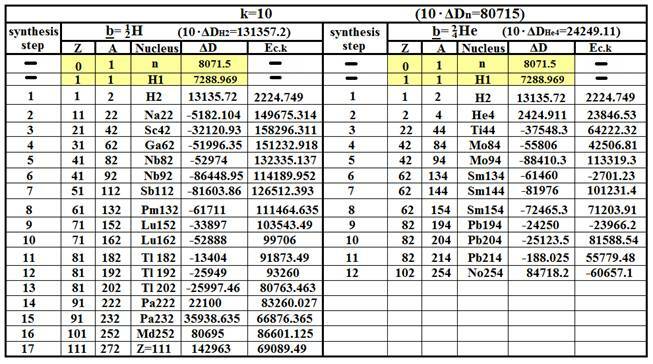 The energy allocated by steps during the synthesis: the KERNEL + 1; 2; 3; 10 Easy kernels (H-2, He-4).